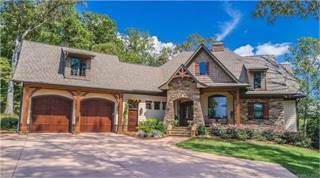 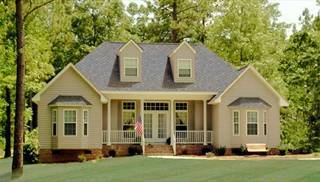 Ranch house plans have come to be synonymous with one-story home designs. 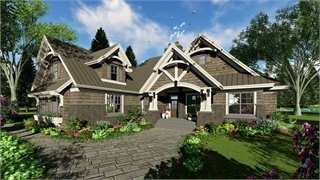 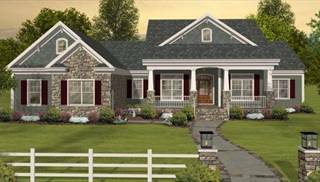 So we are happy to present a wide variety of ranch house plans for one-level living, in all styles and sizes. 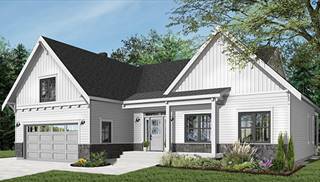 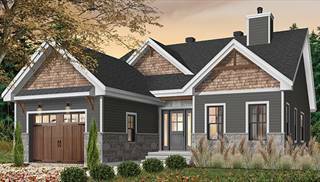 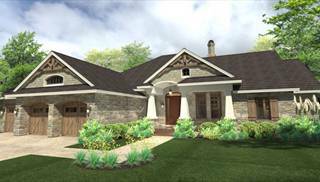 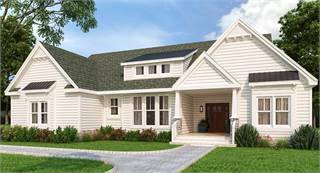 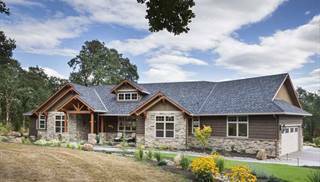 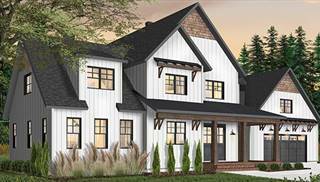 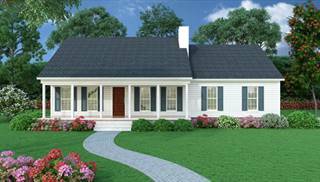 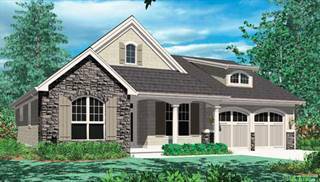 These ranch style house plans are perfect for those with mobility issues, or for those who anticipate growing old in one home. 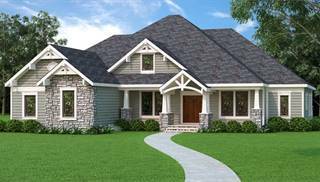 Still others simply choose to avoid climbing stairs to do daily chores making ranch house designs ideal. 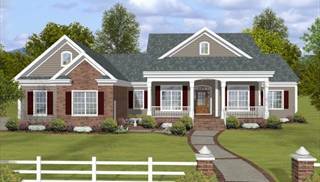 Ranch-style or rambler house plans were originally simple, suburban one-stories with little ornamentation, very popular for a few decades after World War II. 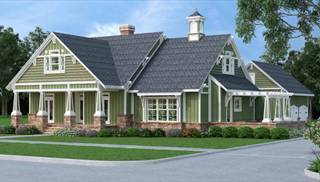 The first known example of a ranch style house plan was built in San Diego in the 1930s, combining the informality of a bungalow with the horizontal lines of a Prairie-style home. 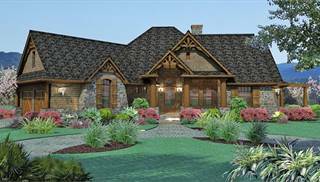 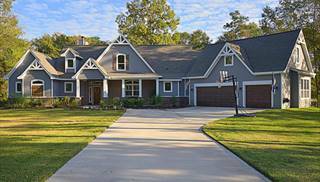 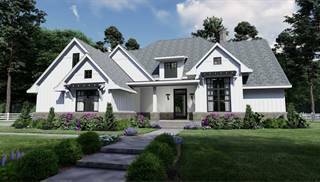 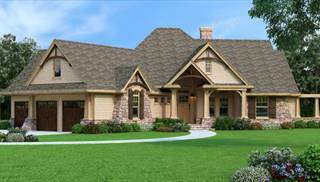 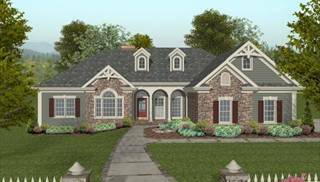 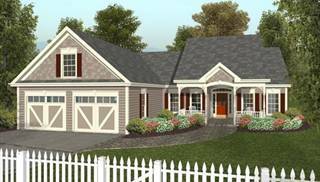 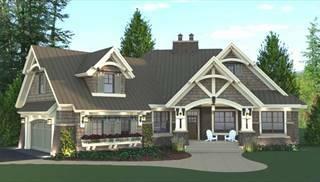 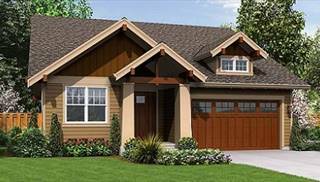 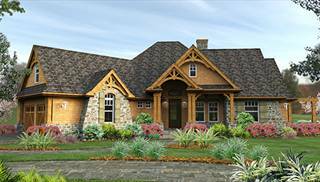 We hope you'll find the perfect ranch style house plans and one-story house plans here!